The children really have had a super, energetic and healthy week, this week. They have taken part in a range of activities, and have enjoyed every minute of it! A huge thanks goes to Mrs Lewis, for all of the planning and preparation in making it such a successful week. She even had a go herself! A wonderful visit from Bishop Tom! We were so proud to welcome Bishop Tom to our school this week, and particularly to ask him to open our new, fantastic outdoor provision – Dove Cottage! Dove Cottage will be our very own oasis of calm spirituality; it will inspire us in our writing, as we listen out for God, in the beautiful nature around us. The visit was a really success, and we would not let a little thing like a rain downpour spoil it…..
We waved Bishop Tom off, with an outstanding mosaic of our very own Saint Columba, produced by Year 4. We know that St Columba was not perfect and that through his life, he made some mistakes, however he tried hard to learn from them, he prayed to, and listened to God, and this really helped him to try do the right thing. In our Whole School Collective Worship, this morning, we thought about how we can try to be like St Columba. We are going to try to follow the words of Proverbs 13. To celebrate the feast of St Columba, we had a long break and ice lollies to cool us down ! 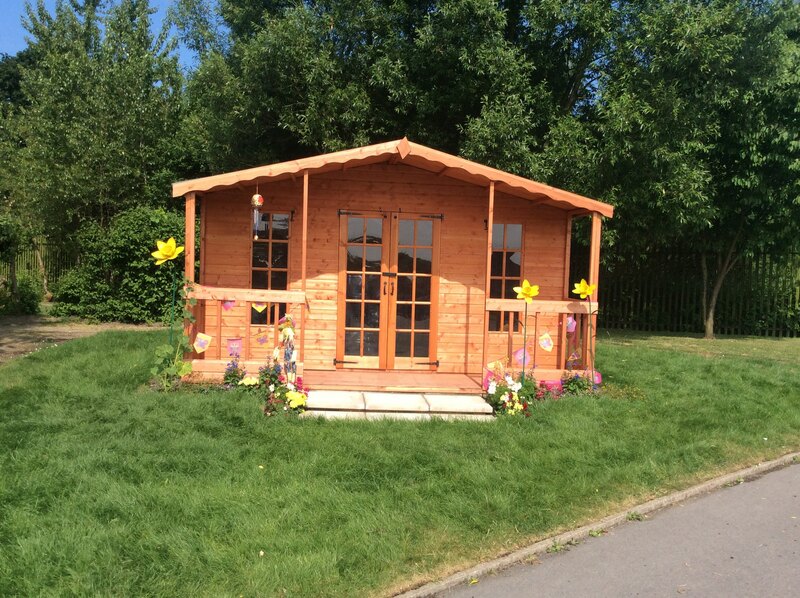 We need some ideas for what to call our new log cabin? 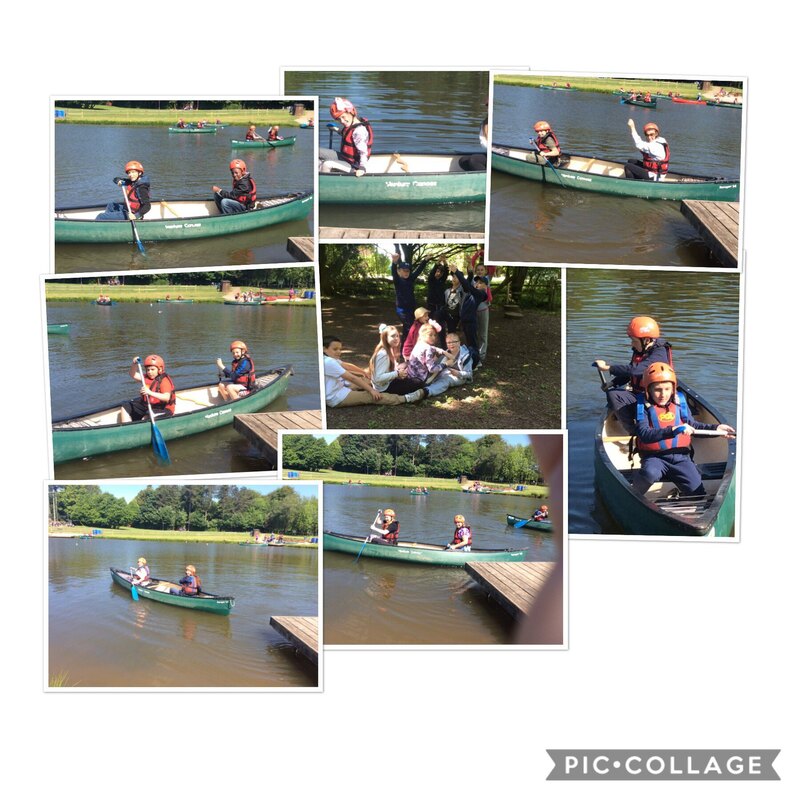 Year 6 had a great time canoeing! 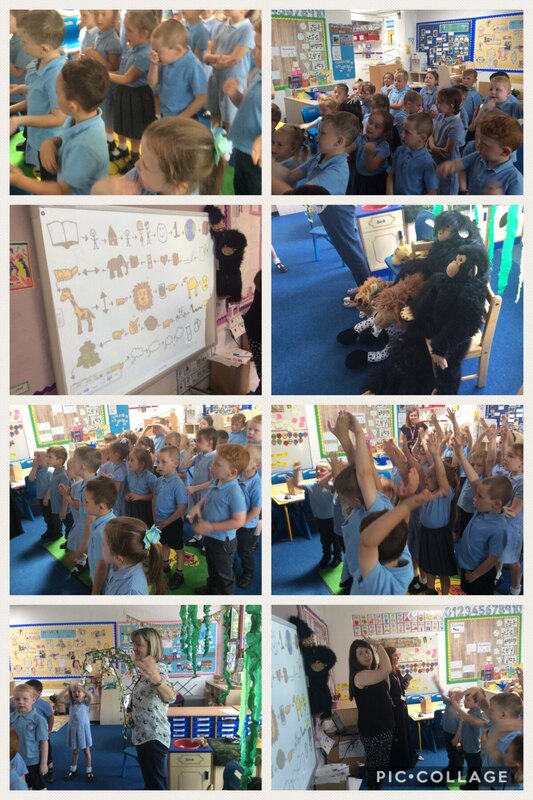 Reception class have had a great time this week practising Talk for Write techniques. We began our Summer half term with a celebration assembly dedicated to St Columba; it is his feast day this Saturday 9th June. We recognise that St Columba, like many of us, was not perfect, however he listened and prayed to God and tried his best. The children thought about how they could be like St Columba. We will spend the week trying our best to keep these promises. We will finish the week with a celebration party in honour of St Columba.